When a local shelter needed a safe place for 9-year-old Tessi, your support allowed Young at Heart to say YES! Yes, we could help her! Yes, we could provide her with a safe haven. We could say yes to providing for all of her veterinary needs to get her ready for her forever home. We could say yes to giving her all the time she needed until a loving family was found for her. And happily, Tessi was able to spend the holidays with a loving family to call her own! 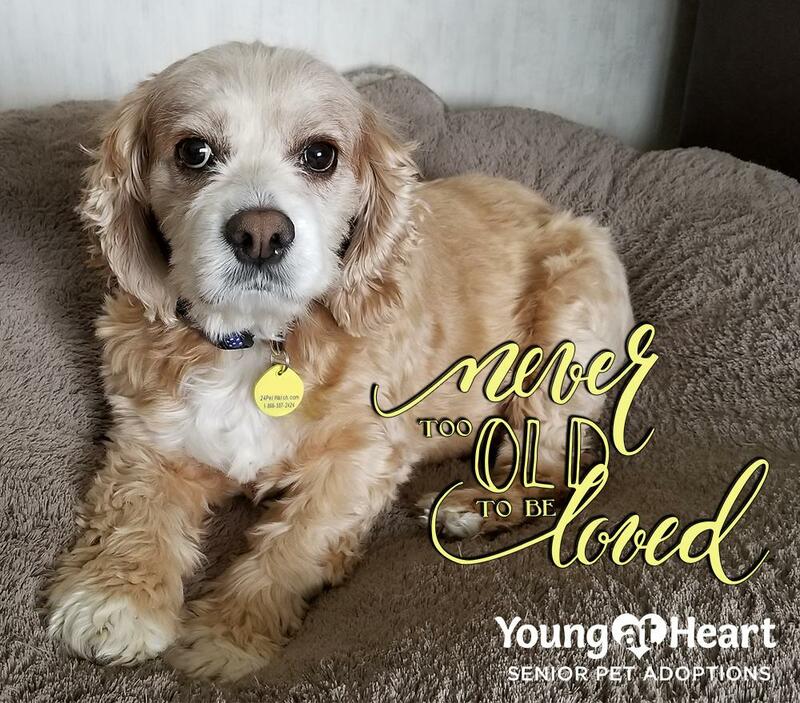 We could say yes to all of that because you believe that Love Has No Age Limit™, and because you support Young at Heart's mission to give senior pets a second chance to enjoy their golden years. There are just a few days left in 2017 to make a tax-deductible gift to continue to help senior pets like Tessi get a second chance. Donate now so that together we can say yes to helping more senior pets like Tessi find their happily ever afters in 2018! Your generous end-of-year donation helps to save senior pets like Tessi all year round! Thank you for giving senior pets a second chance!